We are to the point now, with Daylight Savings and all, that we are working pretty much until we can no longer see our hands before our faces. 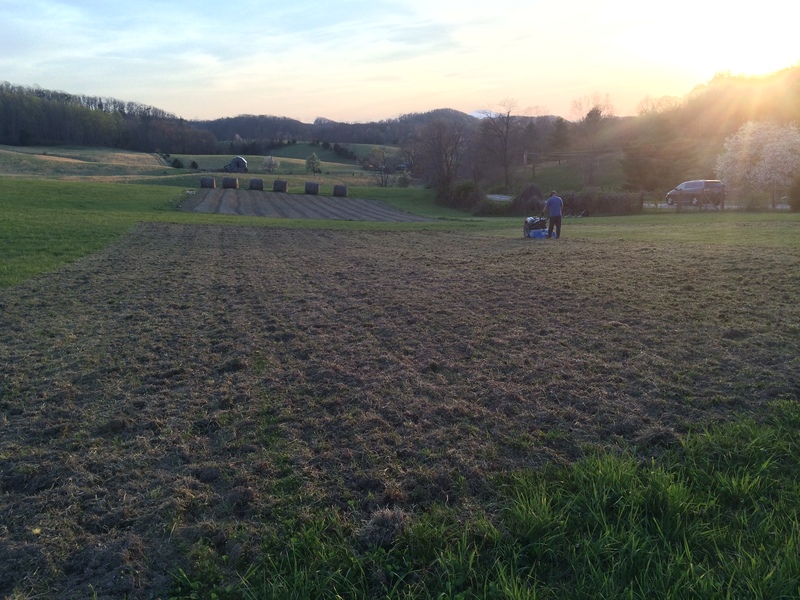 Jordan put in a full day at his regular jobs (yes, even on the weekends), worked on the Pig Palace, then went down the hill to start tilling “Phase Three” of our gardens. Phase three will get some compost and raised beds made like Phase two garden in the background, then it will hold our corn and pumpkins this year. 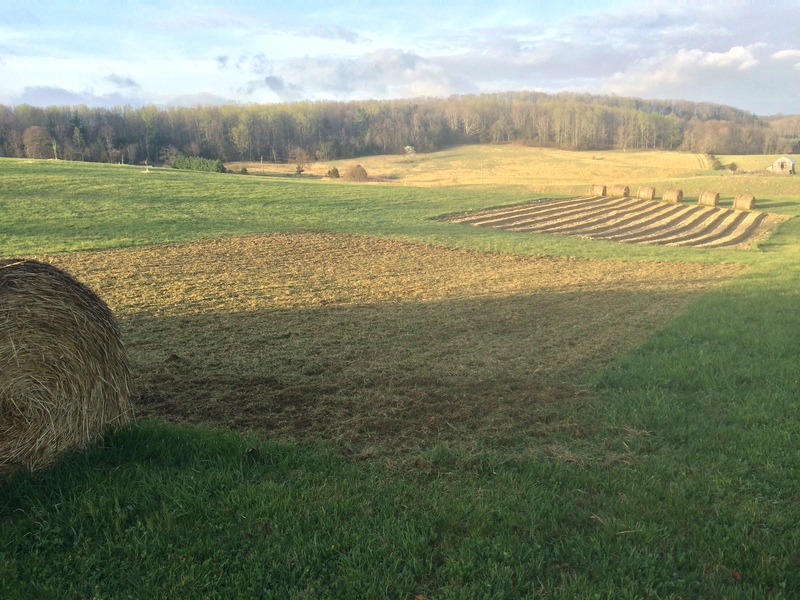 If we don’t cover crop it this fall/winter, it will get a healthy covering of the rye straw.